When you need professional cleaning services in North-East London, contact the experts at Magic Carpet Cleaning. There, you will find the highest quality cleaning of textile floors, rugs, windows, upholstery and walls. You can have your stains removed at a bargain rate. We always do our best to meet the highest expectations of our clients in North-East London and we want to establish a long-term relationship with them. 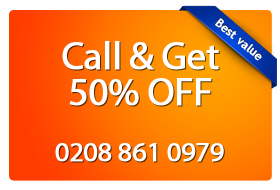 Magic Carpet Cleaning – the right choice when it comes to cleaning in North-East London! Magic Carpet Cleaning experts are highly qualified and have rich experience of cleaning homes, offices, commercial buildings and stores. Our cleaning company works with the latest methods for cleansing of all kinds of dirty textile fabrics and surfaces. The washing materials we use are green and biodegradable making them 100% safe for you, your children and pets! No hidden fees and additional charges – no bait and switch tactics with Magic Carpet Cleaning! We are recommended as a reliable partner because we provide 100% guarantee – we clean while you verify that you are satisfied with the results! Our experienced carpet cleaners know how to remove stubborn stains quickly and efficiently. Steam Carpet Cleaning is a highly effective approach we use. It is a quick cleaning method which uses water to remove dust and dirt from all kind of contaminated fabrics. The hot water extraction ensures all microbes are removed from the carpet which guarantees elimination of all kinds of allergies caused by dirt. You can have a cleaner house and a healthier life for you and your family. The technique with steam cleaning is particularly suitable for families with children and pets. Dry Cleaning Carpet is a cleaning technique which does not use water but uses powdery substances that are rubbed into the rug. Then, they are sucked out together with the dirt and leave a fresh trace behind. The lack of water means that the cleaned textile floor can be used right after the treatment. This makes the dry compound approach suitable for big public buildings like business buildings, offices, stores and banks. It saves you time because you don’t need to wait for the floor to dry and you don’t need to close your store or office for visitation. This method can be applied on delicate fabrics. It uses up to 98% of biodegradable compounds. Who doesn’t know how annoying the spots and dust can be for all households? Who wants their home to look old and shabby? Who doesn’t want to live and work in a pleasant and clean environment? We at Magic Carpet Cleaning can help you when it comes to spots. We have the latest machines and tools, as well as certified employees who know how to deal with all kinds of stubborn stains on all kinds of surfaces. The type of stains and smudges also does not matter – blood, wine, coffee stains, pet urine, gum will disappear without a trace! The only thing you have to do get rid of stains from your carpet, sofa, couch or anywhere at your home or in the office is to call 0208 861 0979 for all London areas. Leave the rest to us!